Kitten adoption doesn't include instructions on how to love cats. So how do you show your cats you love them? As a responsible cat owner, look for the best way to show your kitty kids how much you love them. Special attention can involve any one or combination of the below—plus so many other ingredients specific to your special cat companions. It may simply be lap cuddling each evening, or sharing a pillow on the bed at night. Sitting quietly with a cat’s adoring gaze from across the room says volumes. 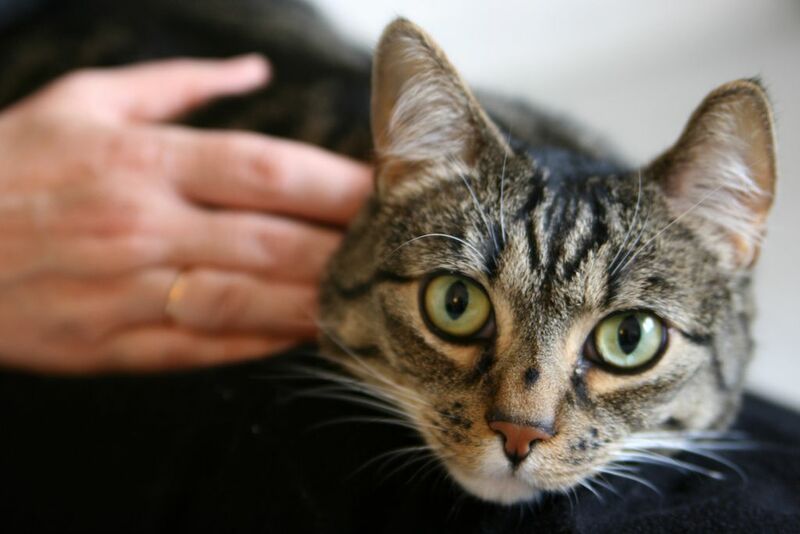 Simply stroking your cat, from nose to tail, gives an all-over feel-good massage that lowers a cat's blood pressure and yours. Pay special attention to the places he likes best, such as the base of the tail and under the cheeks. Touching, petting, and massaging your cat also serves as a well-cat check to find any fur mats, lumps or bumps or sores that need medical attention. Cats rarely work for a living these days. Many of them are bored out of their skull. So we end up with stir-crazy cats that swing from the drapes and play gravity experiments with fine breakables off the mantel, pick fights with the other cats, claw and baptize furniture with urine, and more. Think of training as recreation, fun, a challenge, and an opportunity to celebrate your pets’ natural skills and reward them by unlocking their full potential. Learn to understand what your cat's telling you with his meows, his tail, his ears, and more. How do you feel when someone ignores your attempts to tell them something? Your cat knows you love him and returns the purrs when you respond to his language in an appropriate way. Cats spend half of their waking hours self-grooming. A few overdo the grooming, but most need help to stay spiffy. Not only does the comb/brush feel good like an all-over massage, it keeps fur mat-free and skin clean, reduces furballs, and serves as a bonding session between you and the cats. Cats are creatures of habit and a new pet entering the home can make your cat question your love. With proper introductions, your cat may actually agree that the new kitten/dog/cat/rabbit was a loving gift after all. Treats are a wonderful way to “love” your pets because critters don’t have a choice; they all have to eat. While tastes vary, generally you can find something that the cat loves. The ideal treat is tiny, smelly, unique (different than the usual fare), and rare (makes it special). This harmless herb gives a pick-me-up and enjoyable "high" to many cats. Combine catnip with a special toy and you've really ramped up the fun for your pet. Cats will love you back when you shower them with catnip. Every pet has favorite games. Interactive games increase the bond you share, build confidence in shy pets, and take the fizz out of some overactive pet pests. Some cats enjoy puzzle toys that you hide treats inside because it lets them use their brain, their teeth, and their nose. Cat gyms with climbing, clawing, and hiding opportunities delight active cats. Empty paper bags or a wad of paper tossed in the empty bathtub provide cheap thrills for many felines. So many cats get their tails in a twist over changes to their world. Enriching the environment with cat trees, adding a bird feeder outside a window perch, or simply playing soothing music helps enormously.